Toronto may have hip restaurants aplenty, but Food by Ward shows that when it comes to food security, some neighbourhoods are falling behind. Photo by Peter Grevstad, from the Torontoist Flickr Pool. That sounds lovely, but for most people in Toronto, food is a necessity–not a luxury item–and depending on where you live, Toronto’s food scene may not be accessible or affordable. That’s where the Food by Ward map comes in. 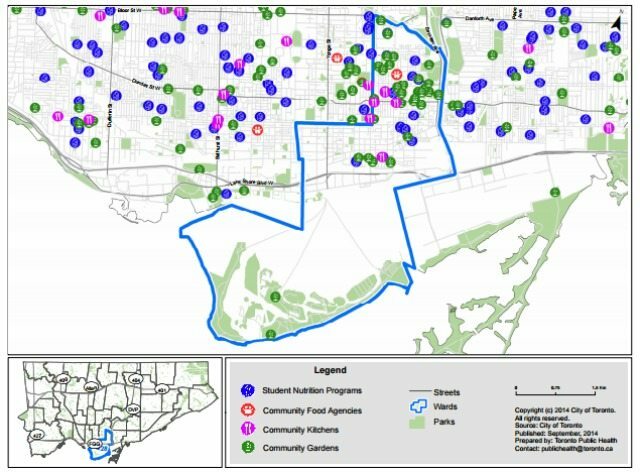 To shed light on the reality of food access in the city, Toronto Food Policy Council lead the development of Food by Ward, a mapping tool that shows food assets available in each neighbourhood. The maps highlight services—like farmers’ markets, healthy food retailers, student nutrition programs, food assistance programs (such as food banks), and community gardens—in each ward and show how they stack up to the average across the city. Somewhat predictably, wards in the city’s inner suburbs tend to have fewer food resources available than those in the downtown core. 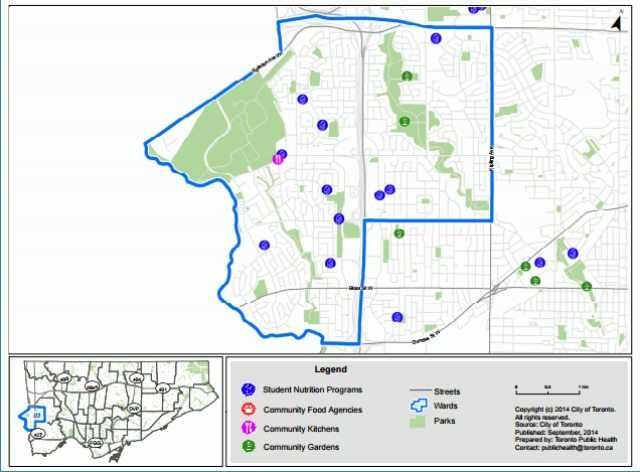 In Ward 3, Etobicoke Centre, for example, there are no farmers’ markets, food co-ops, food banks, food festivals, or drop-in meal programs. There’s only one community kitchen, two community gardens, and 13 healthy food retailers. By contrast, in downtown’s Ward 28, Toronto Centre-Rosedale, there are four farmers’ markets, three food agencies, 15 food assistance programs, six food festivals, seven community kitchens, 22 community gardens, and 100 healthy food retailers. 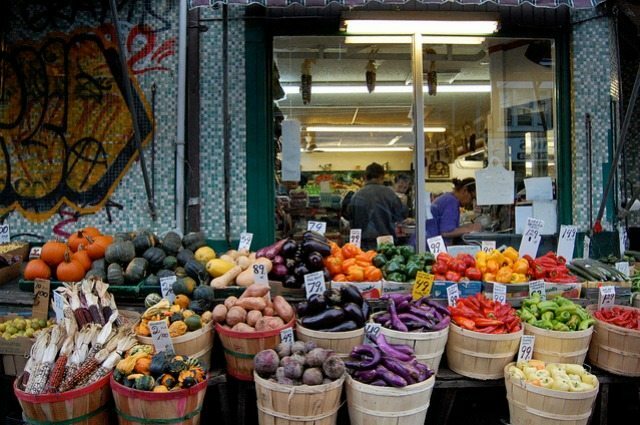 A new study [PDF] lead by the University of Toronto shows that 12.6 per cent of Torontonians experienced food insecurity in 2014. It also shows that the number of people going hungry in this city hasn’t improved since 2008—in some neighbourhoods, the problem has got a lot worse. According to a 2015 report from the Daily Bread Food Bank [PDF], inner suburb food bank use has soared 45 per cent in the last eight years, while downtown, food banks have seen a 16 per cent drop in use. At the same time, access to services has not shifted according to need.